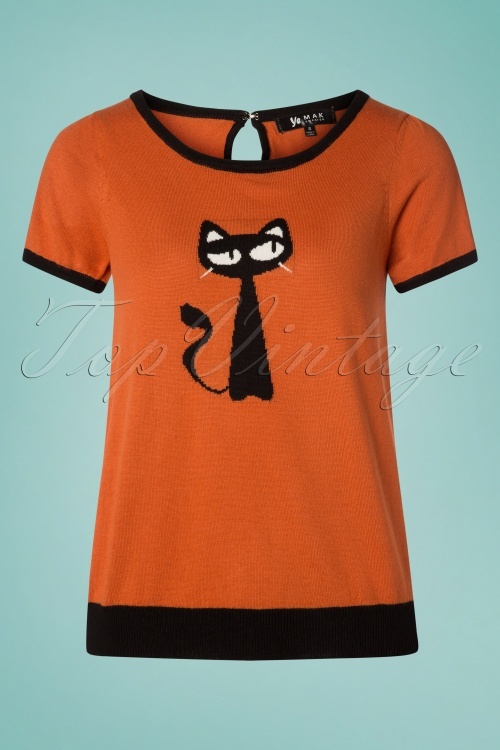 Go retro with this 60s Cat Sweater in Dusty Orange! 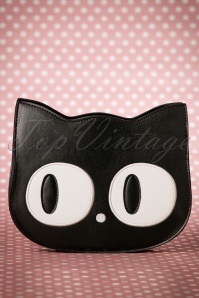 It only takes one look at this cutie to make our hearts skip a beat, me-ow! 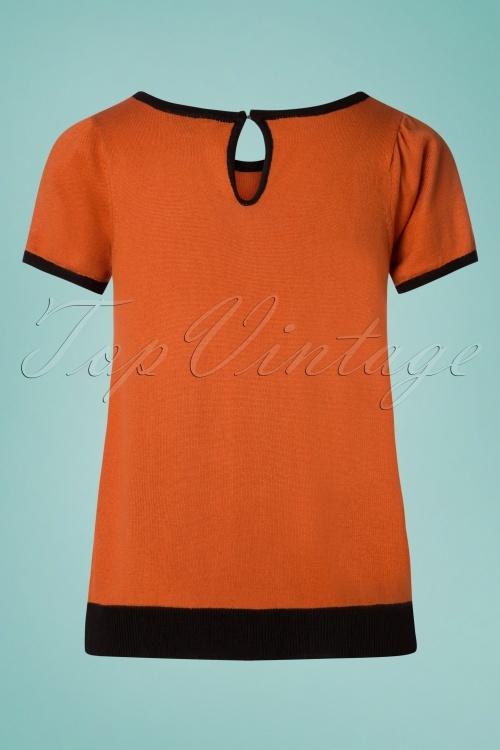 She features a classic cut with a round neckline, short puff sleeves and a stretchy ribbed trim in contrasting black for a beautiful fit. Made of a slightly thinner, lovely soft, fine knit and stretchy, rust-coloured acrylic blend. 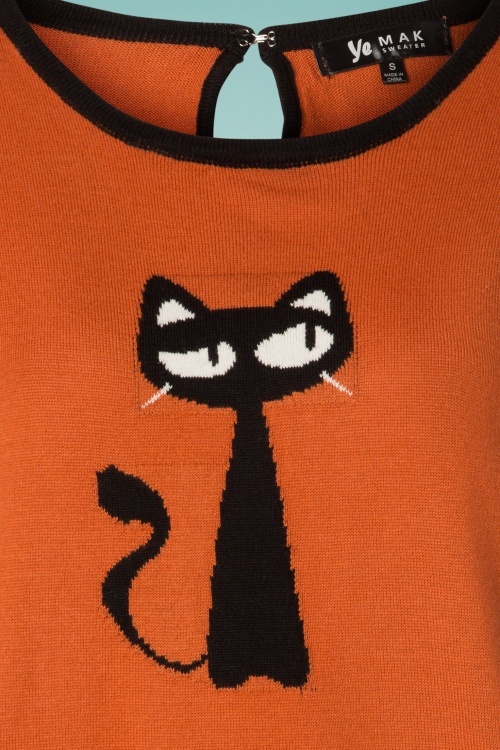 All you need is a cat... sweater!